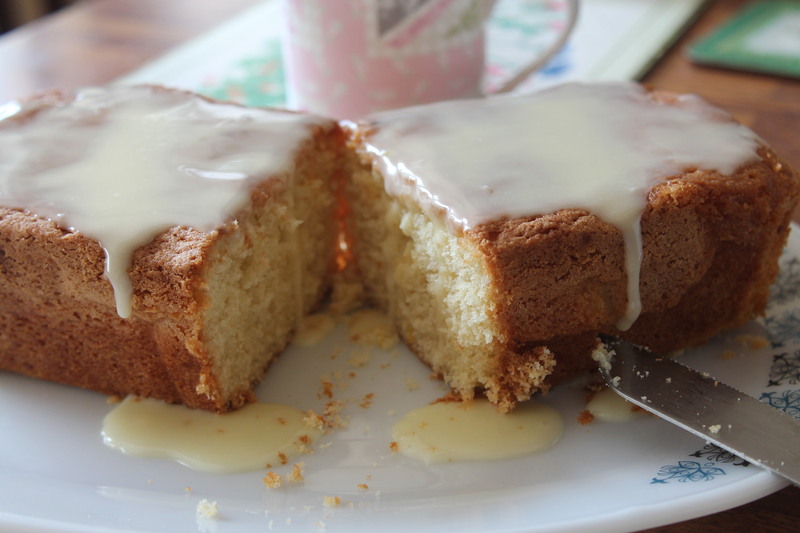 I know you all like lemon drizzle cake but for those few people who do not like lemon then try orange drizzle cake instead. Cream the butter and sugar until light and fluffy add the eggs one at a time and then fold in the flour, this mixture will be a little stiff so add some orange juice and then pour into a greased 1lb loaf tin. Bake for 40 – 45 mins until firm to the touch. Leave to cool slightly in the tin and prick the top with a needle then pour some warmed orange juice over the top and leave in the tin to cool. When cold remove from the tin and place onto a plate then spread the orange flavoured icing sugar on top. Cut into slices and if you are feeling really hungry or just want to treat yourself then butter the slice before eating! Enjoy!